child narrator | Finding delight. …I recommend you find yourself a copy of When We Were Romans by Matthew Kneale. I just finished Kneale’s haunting psychological novel and, just like Room, couldn’t put it down the whole way through. Both books are narrated by young boys; complete with grammatical errors, run-on sentences, and innocent outlooks on the dangerous world. Kneale’s narrator, Lawrence, is a nine year old boy who would do anything for his mother and little sister, Jemima. The family moves to Rome to escape an estranged father, a man Lawrence’s mother believes has been spying on them. But as their world grows increasingly closed off beyond the confines of their little family unit, you realize something isn’t quite right. 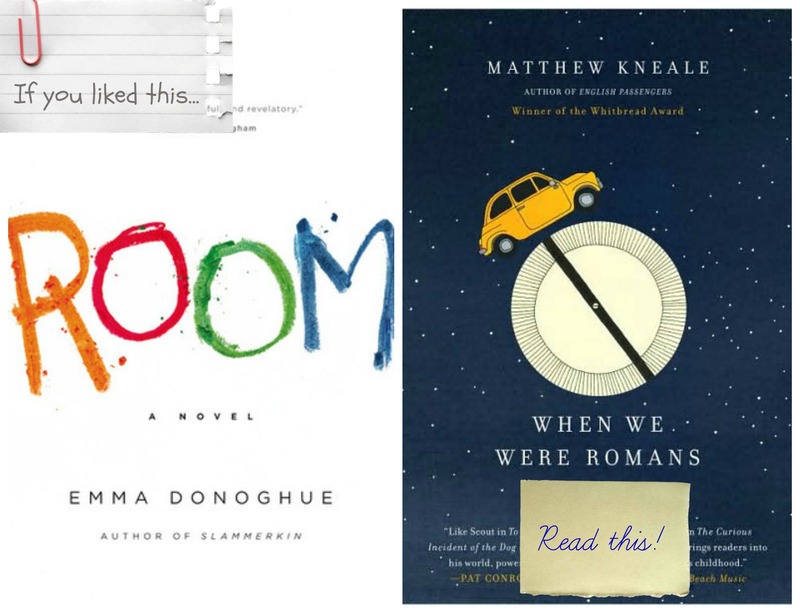 A lot of my friends loved Room and with the popular movie version, I figure a whole new audience is gaining an appreciation for Donoghue’s book. I thought it might be worth mentioning When We Were Romans as a fantastic follow-up read. (Of course, if you’ve never read either…then I recommend a trip to the library to grab ’em both!) Happy reading! What have YOU been reading lately? Are you a novel person? Memoir? More of a non-fiction reader? Share below!